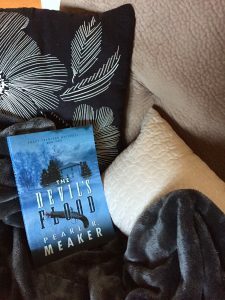 The Devil’s Flood, the third instalment of Pearl R. Meaker’s Emory Crawford Mystery series is now available online and in stores to buy! Add moonshine to the mix when it’s discovered that the old illegal liquor trade is alive and well in Golden County. Teens are the ones drinking it—until there is a murder. Find out and pick up a copy today directly from your favourite book retailer!